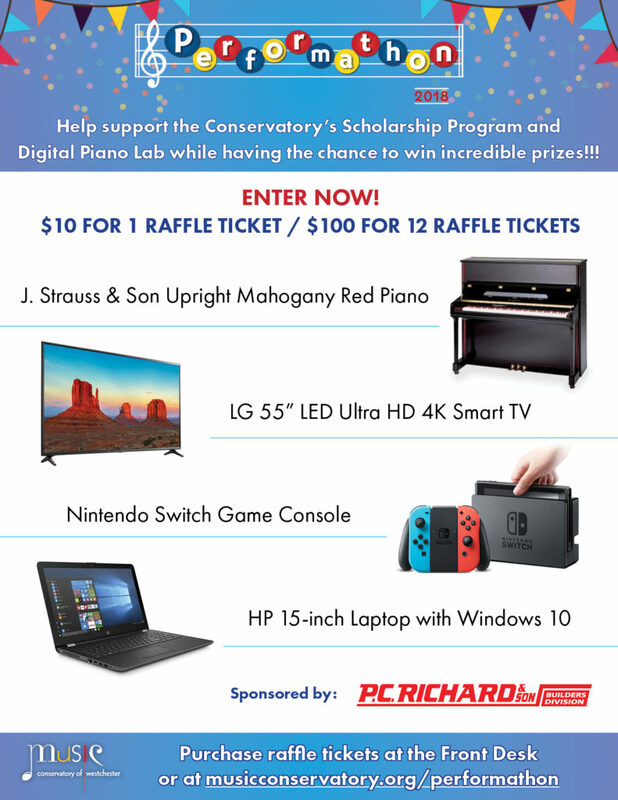 Help support the Conservatory’s Scholarship program and digital piano lab while having the chance to win incredible prizes!!! Purchase raffle tickets for $10 each. *Discounted Rate – Purchase twelve (12) tickets for $100. You will receive an emailed receipt following your online purchase, please retain receipt for your records. Following your purchase you will automatically be entered into the raffle contest. The winners will be contacted after the raffle drawing which will be held on December 14, 2018. Please note: All prizes must be picked up at the Conservatory, located at 216 Central Ave, White Plains, NY (Shipping not available). Thank you for supporting the Music Conservatory of Westchester! Raffle Ticket Sales are Now Closed.